What are these "miniatures" and what can I do with them? I'm constantly surprised by the amount people who inquire about my company's line-of-business and then stare blankly at me when I say that I manufacture miniatures for use in gaming and hobbies. I learned to quickly follow up with, "...you know, little figures, animals or monsters that you can play a game with..."
What scale are your miniatures? Right now our lines consist of 25mm scale models. This scale equates to roughly 1 inch equaling a person with a height of approximately 6 feet. We have plans to expand our lines to include other scales such as war game miniatures in 28mm. No. Our models come to you naked in their unprimed metal birthday suits. It's up to you (or your preferred painting service) to apply your artistic designs, which is half of the fun of this hobby. See the "Resources" section for more details about painting services and supplies. Of course, they can be used right out of the package too - no one says that they have to be painted. Why are your metal miniatures so much cheaper than similar minis offered on other sites? Are they crappy? No, they're not "crappy". We manufacture all of our miniatures and sell directly to our customers. 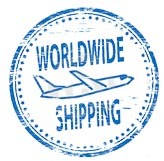 There are no distributors or middlemen to get in the way, and our packaging is very simple. All of these facets combine to help us keep the prices low, which means extra value for you. 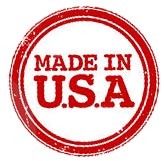 Are your models really made in the United States? Yes. They are cast in a little studio about 15 miles downwind of Hartford, Connecticut. Do your models contain lead, radioactive materials, or asbestos? Absolutely not! They are composed of pure Tin with a little bit of Zinc and Antimony. Since they sound like they're non-toxic, can I eat them? Can anyone play with these miniatures? While these miniatures are really cool and awesome to play with, it is not recommended that children under the age of 14 use them without adult supervision. As we just mentioned... the miniatures may contain small parts and pose a choking hazard. Please feel free to contact us if you have any other questions not covered by this FAQ. Thanks!